Kristin Flornes and Kitt A. Ravnkilde. The second day of the annual DrillWell technical seminar focused on drilling technology. Kitt A. Ravnkilde started the list of presenters and gave a very good keynote speech. Ravnkilde represents the Danish Hydrocarbon Research and Technology Centre at DTU (DHRTC), and her presentation "Drilling and well experiences from Danish fields" showed the development of the Halfdan field operated by Maersk. The field, discovered in 1999, has a 50 meter thick reservoir layer and are produced from 38 producing wells. The next presentation was from Eric Cayeux from IRIS. His presentation "Cutting Transport and Drilling Optimization" showed results from the project P1.3 in DrillWell (Drilling Process Optimization). Cayeux highlighted two methods for observation of hole cleaning: By detailed calculations of expected changes to the pit volume, and by using detailed model-based analysis of the friction tests taken during drilling. The presentation from Alv-Arne Grimstad, SINTEF, was titled "Gas release from drilling fluid during depressurization", and focused on work done to improve understanding of gas absorption and unloading with oil based drilling mud. He presented results from lab experiments related to gas behaviour when released during depressurization. 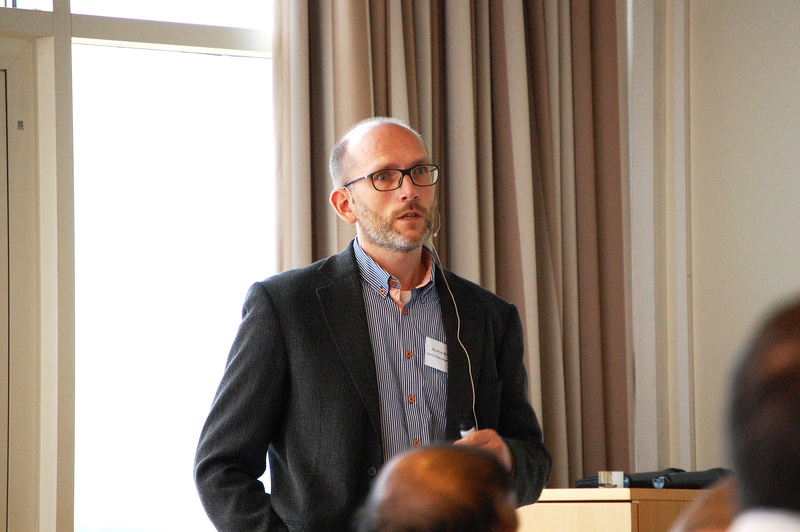 After two presentations focusing on results from DrillWell, Sigve Hovda from Statoil had a more practical perspective. In his speech on Drilling Process Optimization seen from a Statoil perspective, he introduced us to the “three mothers of drilling problems”: Downhole vibrations, poor hole cleaning, and wellbore instability. He also emphasised on the need to implement drilling automation to prevent costly drilling problems and side-tracks caused by human errors. In his presentation "Data quality – use of real time data", Tor Inge Waag from Teknova, emphasised the need for technology that capitalize in the available real time data, and stressed the importance of checking for gross errors to secure data quality when using real time data. He also remained the audience there is a thing or two to learn from other industries. The last speaker was John Thorogood from Drilling GC. In his presentation "Operational performance measures in drilling" he talked about the research paper "Business Models and KPIs as Drivers for Drilling Automation". He and his co-writers look closer at business models and how to organize the industry, and they believe that a change is required in business models and way of measuring success in order to speed up the uptake of drilling automation technologies. At the end of the seminar, manager Sigmund Stokka of DrillWell, summed up the two days. It was commented that this seminar was very good and that it gave the audience value. The combination of presentations from oil companies, service companies and academia gave added value and attracted more participants. The focus on P&A and drilling technology also seem to have a broad appeal to the industry.